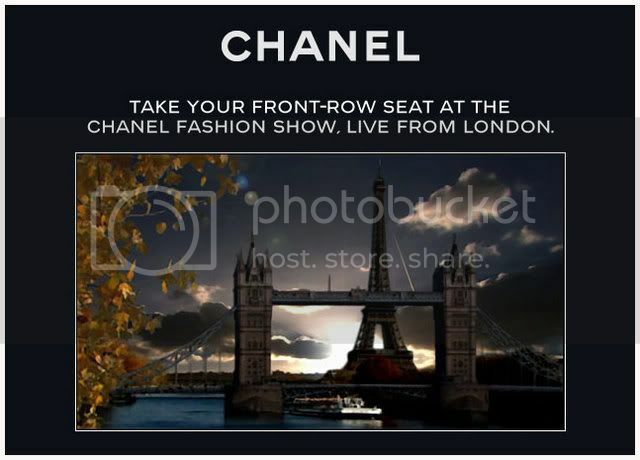 Just got word that you can view the Chanel Paris-Londres fashion show live from London tomorrow, Thursday December 6th, beginning at 2:30 PM EST. To view the broadcast go to this link. If you go to the link now you can download a preview which is very cute and full of Chanel tounches. Happy Viewing!